GLENDALE–Armenian Revolutinary Federation Bureau member Apo Boghigian and Western US Central Committee members Hovig Saliba–Avedis Ispendjian–Arsen Danielian–Vicken Yacoubian–Bedig Kazandjian and Mardig Gaboodian visited the Armenian Consulate in Los Angeles Monday–to offer the party’s congratulations to the consulate on the 7th Anniversary of the Independence of the Republic of Armenia. The delegation was welcomed by Consul General Armen Melkonian–Consul Edward Taranian and Vice-Consul Krikor Avedissian. The ARF delegation expressed its pride and satisfaction that under the current leadership in Armenia all factions were able to equally take part in the creation of a new Armenia and stressed the importance of Armenian President Robert Kocharian’s upcoming visit to the western United States–which will work to bring together the entire community. The ARF members also pointed to baseless comparisons of our historic and national values–which have been articulated by certain segmen’s of the community. 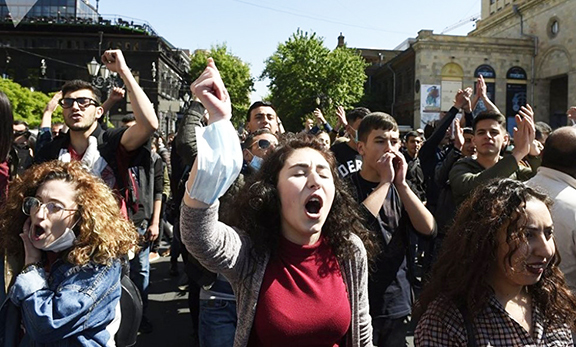 They emphasized the need to place such issues into perspective–specifically two important dates–serving as the basis of the Armenian state–May 28 and Sept. 21.